garvey cey russell lopes: 1978 topps joe ferguson - the card that should have been! 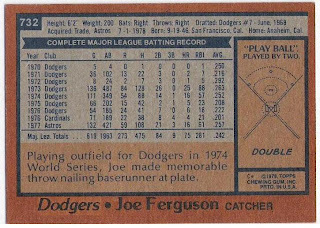 1978 topps joe ferguson - the card that should have been! 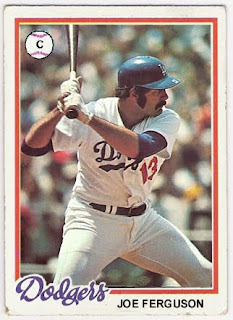 but he was a big part of the dodgers nl championship team of 1978, and so deserves a place in my 1978 topps dodgers burger king/update set as well. 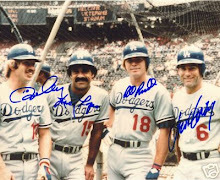 actually, everyone who played for the dodgers in either 1977 or 1978 will get a place, but let's not diminish the role ferguson played. 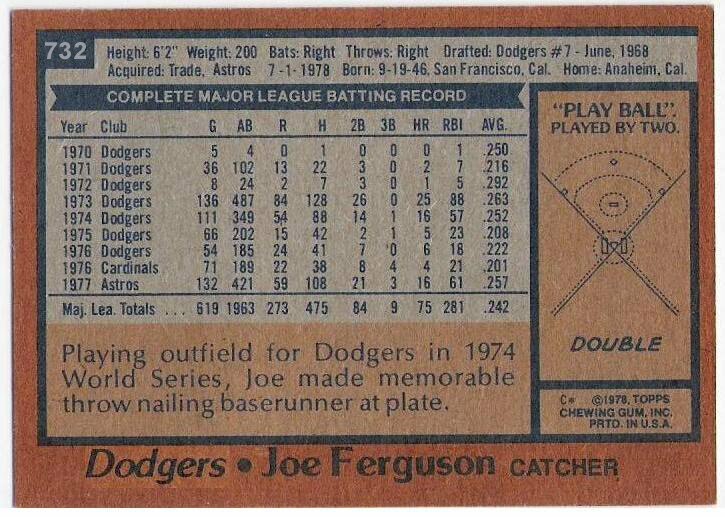 houston had been using ferguson exclusively at catcher, and once he returned to la, he was used the same way as despite a couple of appearances in the outfield, but the dodgers' biggest need was for fergie to replace the struggling steve yeager down the stretch. ferguson got the lion's share of the starts behind the plate from july through late september, hitting .237 with 7 home runs. this was an improvement over yeager, who was struggling mightily at the plate, hitting below .200 with fewer home runs. still, yeager excelled at throwing out would be basestealers, leading the league at 47% (compared to ferguson's 31%). once the postseason started, yeager was the catcher and ferguson got just one start - game 6 of the world series. in that game, he went 2 for 3 with 2 doubles off of catfish hunter, but the dodgers fell to the yankees 7-2.
here's to you joe ferguson, and your 1978 card that should have been! I really like that Ferguson card. 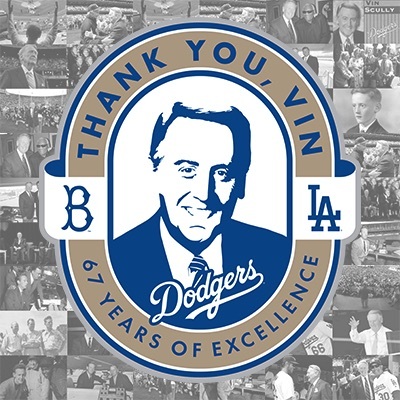 He's one of the reasons I played catcher in little league. Before opening day of our Little League back in, maybe '72 or '73, Joe and Don Sutton came to our field and gave tips, talked to us kids, and so on. I barely remember Sutton, but I fondly remember Joe crouching down with me, and showing me how to balance better on my toes. He even tossed a few pitches to me to catch. I never really liked his '78 Astros card, and you've righted that wrong! rick rhoden through the mail success! 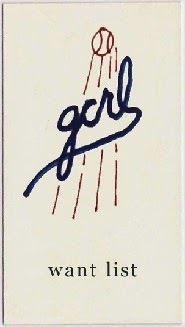 len gabrielson through the mail success! harmon killebrew in person success! jerry stephenson through the mail success!